For years, Michigan has underinvested in infrastructure. In 2016, a task force appointed by Gov. Rick Snyder attempted to put a dollar figure on it: $4 billion. As in, Michigan would need to spend $4 billion more every year for decades just to keep up repairs on the infrastructure systems it has now. Michigan’s failure to anticipate and address long-term infrastructure needs, from destructive roads to clean drinking water to high-speed Internet, has tangible economic effects: missed work shifts and hundreds of dollars spent to fix blown tires; on the state’s ability to attract businesses that need reliable internet and electricity, and in the cost borne by companies to move goods by road or rail. The Michigan section of the American Society of Civil Engineers’ release Tuesday of its latest evaluation of Michigan’s infrastructure is grim. Not that our cash-strapped state had a sterling past. Michigan earned a D on its last such report card, in 2009, and ranked among the worst in the nation. Perhaps nothing symbolizes Michigan’s infrastructure woes as much as Flint, which continues to recover from a lead-poisoning crisis that is now in its fourth painful year. That debacle unfolded after a state-appointed emergency manager switched the source of the city’s drinking water without controls in place to prevent corrosion of lead water pipes. 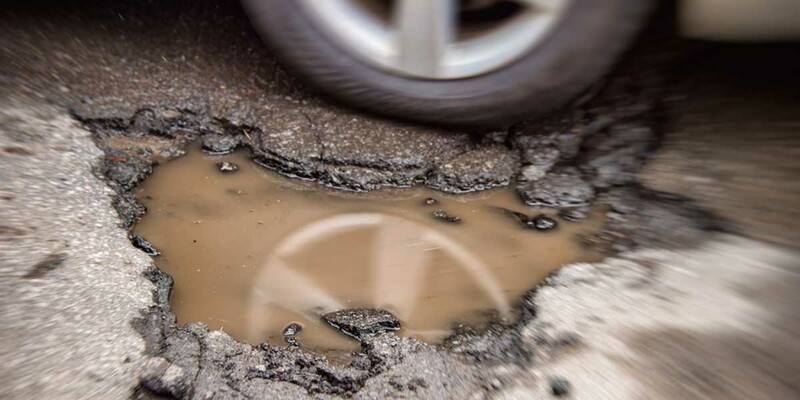 In February, potholes formed by this winter’s harsh freeze-and-thaw cycle forced emergency repairs on Detroit-area freeways, including the closure of a section of Interstate 75 in Detroit. And a water main break in Livonia triggered an advisory for residents of the Wayne County city to boil their water before using it. In addition to Flint, Michigan’s next governor will have to contend with the diversion of general fund dollars starting in 2019 to fix roads, as outlined in a $1.2 billion legislative spending plan, along with efforts by some in the legislature for deeper tax cuts. What do you see as the biggest, most critical infrastructure priorities facing the state of Michigan and how would you address them as governor? Do you agree with Gov. Snyder’s infrastructure commission on the financial investment ($4 billion a year) needed in the years ahead? And if not, roughly how much money is needed and how would you have that work paid for and allocated if you become governor? Is the current funding allotted for road repair enough? Why or why not? Most candidates avoided putting any dollar figure on an infrastructure fix, nor did they offer insight into where that money would come from. Campaign spokesman Mike Schrimpf noted Calley’s work in the Snyder administration to create the Gordie Howe International Bridge between Detroit and Windsor, Ontario; implement the 2015 road-funding deal that will raise $1.2 billion by 2021 through new revenue and diverted state general funds; and chair a board working to eliminate childhood lead poisoning. “Now that the Clean Michigan Initiative has run dry, Lt. Gov. Calley believes cleaning up legacy pollutions sites is important to continue and is ready to work with the Legislature and stakeholders to develop a long-term solution,” Schrimpf wrote. Calley didn’t say how much money is needed to improve infrastructure, including roads. Nor did he address how additional funding would be paid for by the state. “Patrick believes one of the state’s top priorities is fixing our roads without increasing taxes,” spokeswoman AnneMarie Schieber Dykstra said via email. The campaign provided a link to a 2015 op-ed Colbeck wrote for the Detroit News that it says sums up his strategy toward road infrastructure, in particular. Colbeck, from Wayne County’s Canton Township, would focus on reducing costs, rather than increasing tax revenue; investing more up front to build roads that can last longer; dedicating one-time money and diverting money from the state’s reserves to roads; and tapping the Michigan Strategic Fund to pay for transportation infrastructure that would serve as an economic development generator. Colbeck included some dollar figures, but his op-ed is close to three years old. His campaign did not address how much money was needed for repairs today, how much he would withdraw from current and future budgets, or how those withdrawals would impact other programs. “The most immediate problem is repairing our roads. We need to take every general fund lapsed dollar and put it into immediate road repair,” Hines wrote, via email sent by campaign spokesman David Doyle. He did not say what other funding might suffer if general fund revenue is diverted to roads. Hines, a Saginaw physician, also said he supports Snyder’s proposals to improve Michigan’s water infrastructure and to cleanup toxic sites across the state, including $79 million from increasing landfill dumping fees and $110 million from new surcharges on customers’ water bills. “I do not know of another way to pay for lead line replacement unless we do something like this,” Hines wrote. Schuette did not address how much more money is needed to repair roads or other infrastructure. He did not say where this additional money would come from, nor did Schuette reconcile his call for “increased investment” in roads with his campaign pledge to lower taxes for Michigan residents, which would likely leave less state revenue for road repair. “Two of the most pressing (infrastructure needs) for our state's future are roads, and water and sewage,” said Cobbs, a former Xerox executive, in an email. “We have neglected these infrastructure areas for far too long. The condition of our roads directly impacts citizen mobility and business productivity. We can not afford to allow crumbling water and sewage systems to create threats to the health and welfare of millions of citizens. Cobbs said he would not be surprised if the projected gap in infrastructure spending goes beyond $4 billion annually once state government better identifies the condition of Michigan’s infrastructure systems. He also said Michigan needs to move to a graduated income tax structure, similar to the federal system, to help raise more revenue to spend on services like infrastructure. In addition, he said, “we need to seriously rethink the approach we take to road replacement and build roads that have a longer useful life,” echoing an approach recommended by Colbeck. A campaign spokesman for El-Sayed, the former Detroit health director, said via email the state’s biggest infrastructure priorities include poor roads, structurally deficient bridges, a lack of public transit, “crumbling and dangerous” drinking water systems, access to high-speed broadband internet and clean energy infrastructure. El-Sayed generally agrees with the Snyder-appointed 21st Century Infrastructure Commission’s finding that Michigan has an investment gap of $4 billion per year, spokesman Blake McCarren wrote. As governor, McCarren wrote, El-Sayed would look to bonding for $600 million and divert $14 million from the Michigan Department of Corrections to pay for initial investment in water infrastructure systems; a user fee of 0.01 cents per kilowatt hour to raise $105 million for clean energy each year, which he contends could be used to leverage $3.3 billion in additional investment over 15 years; paying for roads through a 1.5 cents-per-mile vehicle mileage tax and taxing marijuana if it becomes legal in Michigan, to raise more than $1.6 billion per year for maintenance and transit. As governor, Thanedar would ask voters to approve a $1 billion bond in 2019 for roads, bridges, transit and other infrastructure repairs; split proceeds from recreational marijuana — should a potential November ballot proposal to decriminalize it succeed — so half goes to education and half to infrastructure; and look for more partnerships with the private sector on road and bridge projects, campaign spokeswoman Rachel Felice said via email. Thanedar, an Ann Arbor businessman, also wants to increase revenue sharing to local governments for infrastructure, though he did not say what that would cost. Felice said rather than cutting other programs, Thanedar wants to close tax loopholes, such as those used by big-box stores to lower their property tax bills, and get more taxes from large corporations. He said he would seek federal funding for high-speed rail lines from Detroit to Chicago and Traverse City; work with the federal government to expand Interstate 94 to three lanes as it runs across the state, and plan to remove lead service lines from municipal drinking water systems within 10 years, Felice wrote. He did not say where that money would come from, other than a mix of federal, state and local contributions, and public-private partnerships. Whitmer, who served 14 years in the Legislature, said access to clean, safe drinking water and roads and bridges in good condition are priorities. Whitmer said current funding levels for infrastructure are inadequate, and that she would begin to address the $4 billion annual funding gap (“far and away the reason why our roads are so dangerous,” she said) identified by the infrastructure commission by investing an extra $3 billion per year up front. Whitmer did not say where extra funding would come from. Ellison said via email she “will be ready to work with the Legislature to find the necessary funding, but is also willing to go directly to voters to fix the problem.” She also did not say what other government programs or priorities might have to take a hit as a result. I'm only seeing one candidate who hit the nail right on the head here: For too long, Michigan has engaged in a policy of planned obsolesce when it comes to building its roads. That policy may sound like a great business plan for building contractors and the subsequent donations they make to the politicians every year. Not so great for the people who need car repairs and new tires for doing something as basis as going to work. Well, there's the problem in a nutshell... It's pretty hard to do anything when you're doing everything you can to shrink the money the state has available to do ANYTHING. When will you cover other candidates -- maybe even a few from the five other parties on the ballot? Until that happens, this is NOT the complete coverage you proclaim. Ontario, similar climate, better roads. Ohio, similar climate, better roads. Whatever happened to the I-375 experiment to build a road to European standards. They did build the road but did anyone study it and learn from it before destroying it? Where are the other candidate responses? Did you ask them? I am wondering if Abdul El-Sayed is a Sunni or a Shiite Muslim. It would make a difference to me. Funny how they refer to the Republican candidate who is a physician as "Dr." but don't give the same courtesy to Dr. El-Sayed.